So this weekend I finally got started in Fantasy Baseball for the upcoming season. So far I have 5 teams and will have many more by the end of spring training. I thought I would show you my teams and maybe get some feedback from you guys. I did a few snake drafts and a couple of auction drafts. I prefer Auction but they do take a really long time. For this team, I think i built a fairly good team and it may be the best team in the league. I have a tremendous pitching staff and a pretty good offense. As you can tell, this was based on Auction rules. I personally love Carlos Santana and you will see that as he is on most of my teams. I think he will be the best catcher this season. And for $13 that is a great value. My middle infield might need work but it will do for now. I have plenty of good pitchers on my team also. I would rather have Danny Espinosa than Hill but maybe I can work out a trade. I am also a big Nats fan so I think Espinosa is a great young and up coming player. Kuroda will be a good option at $4 and Romero and Hudson could be steals for $10. However, I maybe could have gotten Hudson for a little cheaper as no one else bid. Freese is a guy who i took a flyer on because he will be a key part of the Cards offense now with Albert gone and he is coming off a great post-season. He could be a big reward for this team this season. Ian Desmond isn’t a bad play at 2B/SS also as he could play well this year in a good young Nats lineup. On to my next team. I admit I was tired of not getting A-Gon or Pedroia on my team so I settled that problem with this team. I stocked up on Redsox players here. I brought in Adrian Gonzalez and Dustin Pedroia on back to back picks.Like I said earlier, Fantasy Baseball is won because of Offense and this team is offensively stacked. Santana seems like is always destined for my team. I really don’t look at any other catchers to draft besides him. Once again I pick up Michael Morse from the Nats. I also get Youk to be my 3B which is a solid option. One of my favorite players is Alexei Ramirez. He is one of the most consistent performers in baseball and which is why I was happy to pick him up. Youngster Dustin Ackley will be my 2B/SS as he is a good young talent for the rebuilding M’s. My OF is pretty good also as I picked up Jay Bruce, Nelson Cruz and Adam Jones. All three are very good players and all will put up big numbers. Once again I picked up Melky and Willingham to round out the Outfield. I also got Alex Avila for my backup catcher. He is a great backup and could start some time for me. I also grabbed Goldschmidt and Espinosa late in the draft. Pitching will be a interesting season in regards to my squad. Lester will be my ace and will lead the bunch. I picked up Jimenez from Cleveland and he could be a big reward this season if he regains his old form. I picked up two pitchers from Arizona as Kennedy joins my team again along with Hudson. I like Arizona as a team, they are probably my third fave team behind the Sox and the Nats. Feliz and Sale will both be making the transition from closer to starter. Both could do very well this season. Sale will make the transition easier as he has started before. Luebke and Fister are also guys who I like. 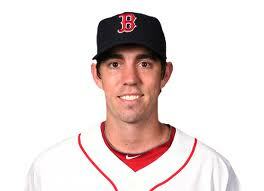 I think Fister could really emerge this season. He pitched great after the trade to Detroit. I hope you guys enjoyed this article! So as we are dipping into Spring Training the annual fantasy baseball player is anxiously preparing for his/her fantasy drafts. I am not a expert merely a fan and what will go below is just me thinking and my opinion. Keep in fact, that there is really no such thing as a Fantasy Baseball Expert. This will be a huge special for me and probably the biggest and longest article on the site to date. I will continue to incorporate Fantasy Baseball into the Blog as i myself play fantasy baseball with many teams. 1. Don’t make a huge reach pick – For example don’t take a guy that is rated 180 in the top 20. That will only end up hurting you and weakening your team. 2. Keep tabs on certain players- I always try to keep a running list on the side of guys who I would draft shall they fall to me. It is a big help. ESPN lets you place players in the list on the side during the draft so take advantage. 3. Winning the Draft- The draft can not be one in the first round. You however can win the draft in the later rounds where players tend to select players based on name and not based on stats. You never know who you can find in the later rounds. 4. Try to draft best available players always– This may not always make sense to do but it can come in handy if you are looking to make a trade later. If you can acquire two of the top five players at one position other players will need to deal for one of those players and sometime they can give you a better player in return. 1 . Carlos Santana, Cleveland Indians – Santana took off last year and provided great numbers. Those numbers could get even better as he is just entering his prime. 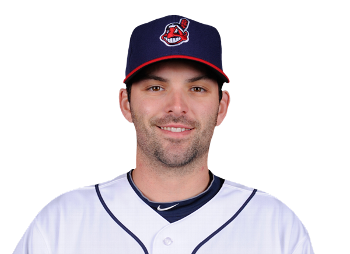 Too bad he plays for the Indians as they won’t contend much.Projection – .245 avg with 31 HRS and 88 RBIS. 2. Mike Napoli, Texas Rangers – A good power hitting catcher thrives in Arlington and will put up big numbers once again this season. Projection – .285 avg with 29 HRS and 86 RBIS. 3. Brian McCann, Atlanta Braves – McCann is consistent and will look to have another productive year at Turner Field. Projection – .275 avg with 22 HRS and 79 RBIS. 4. Miguel Montero, Arizona Diamondbacks – The Catcher produced career numbers last season and could be better this season. He is playing on one the best young teams in the game. Arizona is definetly on the rise. Projection – .275 avg with 17 HRS and 82 RBIS. 1. Albert Pujols, Los Angeles Angels of Anaheim– He signed one of the biggest contracts in history and broke every St.Louis fan’s heart at same time. I don’t think he will be the best first baseman this season but right now yes. 2. Adrian Gonzalez, Boston Redsox– May finish as the best first baseman in the league by the end of the season. I would suggest taking Gonzalez to be your first baseman. 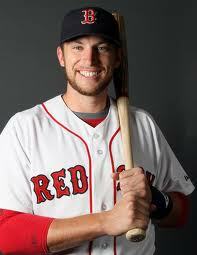 He will have another monster year for the BoSox. He is a perfect fit for Fenway. Projection – .337 avg with 36 HRS and 128 RBIS. 3. Prince Fielder, Detroit Tigers– 9 years, 214 milion later. That was the cost to bring Fielder to the former team of his father Cecil. This deal was highly scrutinized and he will need to live up to the now immense expectations. Projection – . 285 avg with 38 HRS and 115 RBIS. 4. Miguel Cabrera, Detroit Tigers – Miggy will play third for the Tigers this year or will attempt to. He has not played the position in a while and he is heavy so not a good combo. He would be on the 3B list but is not eligible yet. Projection – .335 avg with 34 HRS and 117 RBIS. 1. Robinson Cano, New York Yankees – Even though I hate the Yanks with a passion, I respect Cano for his outstanding play. He performs at a very high level and may go down as one of the best Second basemen of all-time. Another great season is expected from the slugger. Projection- .306 avg with 27 HRS and 110 RBIS. 2. Dustin Pedroia, Boston Redsox – Muddy Chicken, Laser Show, or Dustin Pedroia. Whatever you call him there is no denying his talent. He has tremendous power for his size and has become one of baseball’s best. He seems to get better every year so there is no limit for him. Projection – .295 avg with 18 HRS and 87 RBIS. 3. Ian Kinsler, Texas Rangers– Kinsler and the Rangers have come so close the last two years but fell short on both occasions. He will have to play his usually great second base to help the Rangers secure another AL West title. Projection- .285 avg with 25 HRS and 75 RBIS. 4. Dan Uggla, Atlanta Braves – The best power hitting second baseman lands in at no.4 for my 2B rankings. He doesn’t hit for the average as others on his list but makes up for it with tremendous power. Projection – .250 avg with 30 HRS and 88 RBIS. 1. Troy Tulowitzki, Colorado Rockies – Hands down the best shortstop by FAR. He is a certified slugger and just a beast in Colorado. This is the type of player you want on your fantasy team. He will lead the Rox this year along with Carlos Gonzalez. Projection .298 avg with 29 HRS and 102 RBIS. 2. Jose Reyes, Miami Marlins – Reyes and teammate Hanley Ramirez differ on people’s SS rankings list. 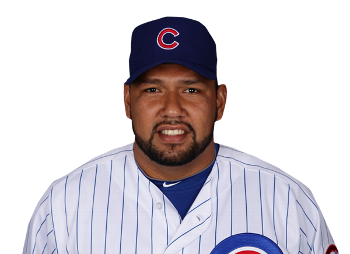 However, Ramirez will be moving to third and is currently available at ONLY SS. Reyes gives you average and stolen bases and is a very talented SS. Projection – .287 avg with 12 HRS and 67 RBIS. 3. Hanley Ramirez, Miami Marlins – Ramirez gives you power at the SS position and average. He may not get you stolen bases but is a great player. He will play third base for the Marlins and will be eligible at 3B a little bit into the season. Make sure to draft a true SS as about Ramirez will be 3B eligible not far into the season. Projection .305 avg with 23HRS and 82 RBIS. 4. Starlin Castro, Chicago Cubs – Castro is a spark of excitement for the Cubs and their fans. He is an electric young player that they should and can build around. He may not have the power of Tulo but he can run and hit for an average. Projection .304 avg with 13 HRS and 71 RBIS. Tie-1. Evan Longoria, Tampa Bay Rays– Longoria is a big time talent in TB. He is the heart and soul of the Rays franchise and a big reason why they play so competitively all year. When healthy he provides solid production. He is the only top 4 pick from the 2006 draft actually doing anything. Who was picked of ahead of you ask ( Luke Hochevar and Greg Reynolds) Projection .283 avg with 27 HRS and 92 RBIS. Tie-1. Jose Bautista, Toronto Blue Jays – Bautista is a big time slugger and should continue mashing opposing pitchers. 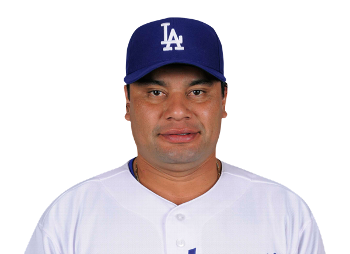 He is good for atleast 30 homers and 85 RBIS. He will carry Toronto to a possible wildcard spot. With a extra wildcard spot being added he should be excited as the Blue Jays should be in the running for one those 2 wildcard spots. Projection .287 avg with 45 HRS and 110 RBIS. 3. Adrian Beltre, Texas Rangers– Beltre is a great fit in the Rangers Ballpark in Arlington. He is a key component of their huge offense. He will return at 3B for Texas and will be a top five third basemen all season. Projection .288 avg with 31 HRS and 102 RBIS. 4. Ryan Zimmerman, Washington Nationals – Ryan just signed his new 6 year, 100 million contract and will need to put up big numberts this year. He was injured last year and should return to his normal form this year. Projection .283 avg with 27 HRS and 95 RBIS. 1. Matt Kemp, Los Angeles Dodgers – Kemp also got a big contract extension this off season. Unfortunately, the Dodgers will not be relevant this season. At best they will finish third in the NL West but could easily finish last. They are rebuilding to compete in the NL and the NL West. Kemp could have went to big market team after this season but decided to stay in LA. Projection .325 avg with 38 HRS and 119 RBIS. 2. Jacoby Ellsbury, Boston Redsox- What a year, Ellsbury shot his power game through the roof last season. No one saw that kind of power coming from him. If he can keep the power up then he may be on his way to being one of the best to ever play in BostonW. Projection .311 avg with 27 HRS and 90 RBIS. 3. Ryan Braun, Milwaukee Brewers- Braun had a good year and won the NL MVP. However, all off season he has been in the spotlight for testing positive for steroids. He also lost his pal in Milwaukee Prince Fielder. He will be expected to perform even better in order for the brew crew to compete. Projection .319 avg with 32 HRS and 106 RBIS. 4. Curtis Granderson, New York Yankees- Granderson is built for Yankee Stadium. He crushes pitchers in that ballpark and will continue to this year. He will be a top performer in the outfield and could compete for AL MVP if he has a repeat of last season. Projection .265 avg with 37 HRS and 101 RBIS. Well I have taken a month off to prepare for the season and their really hasn’t been any thing to talk about for the last month. I will be posting more stories and they will be coming out faster than before. I hope to keep updating the site as much as I can. So baseball is back and what a great time it is. Especially after my Patriots lost in the Super Bowl as i expected because we don’t much of a defense. And the Celtics are treading water and not looking all that great. However the Bruins and the Sox give us fans some hope. Chris Carpenter comes from the Cubs for Theo Epstein. Not Chris Carpenter of the Cardinals but Carpenter of the Cubbies. 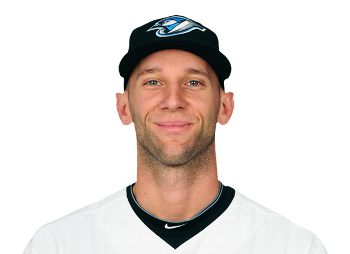 The 26 year old 6’4 righty has spent most of his career in the minors after being drafted out of Kent State. He was used a reliever for the Cubs and their minor league affiliates. He went a combined 3-4 with a 5.91 ERA in Double-A and Triple-A last year. Oh those stats aren’t great, sounds like we basically got nothing for Theo. He could get shot at the bullpen but will probably spend the season in Triple-A. Abundance of bargain pitching- The off-season has been very low key for the Sox. They have been stocking up on tons of arms however. These pitchers were all signed to low risk contracts and figure to battle for the fifth starter spot or bullpen spot. The rest will likely provide Pawtucket with a deep pitching staff compromised of former major leaguers. Most of these signings were on pitchers who suffered injuries and were released by their former clubs. Here is a composite list of the pitchers we signed. – Projection – The final pitcher on this list that could contend for the last rotation spot. He is a very smart player with a Princeton degree. He hasn’t pitched well on a anemic Pirates offense in the past but could do well in Boston. Shortstop by Committee? The Sox are appearing to go with a shortstop buy combination for the upcoming season. I don’t think a platoon of Mike Aviles and Nick Punto is ideal but SS prospect Jose Iglesias is not ready for the bigs yet. Iglesias could walk away with the opening day job if he shows he can hit above the abysmal average he has put up in the minors. Aviles and Punto are more of backup infielders not starters. Punto is good defensively but provides very little offensively. Aviles is average on defense but can hit a little bit but we need a qualified SS. The situation in Miami should be something to watch as former Redsox prospect Hanley Ramirez takes himself and his big ego from SS to 3B to accomadate the new SS Jose Reyes. Hanley has had a history of anger problems and I bet he won’t like playing 3B all year and would want to return to SS. However, that won’t be in Miami. Kevin Youkilis will be a free agent this winter and this veyr well could be his last season in Boston as the Sox have stud prospect Will Middlebrooks in the wings. How does a Youk for Hanley trade sound? There are just a few storylines as Bobby V takes over for his first season in Boston. It will be a wild ride this season and now its time for us all to enjoy and watch some baseball. I have been gone for two weeks and haven’t made a post in a while but i am back now. So without further adieu. The Sox have been active over the Holidays picking up their closer of the future and a extra outfielder. Andrew Bailey comes to town giving the Sox a much needed closer. Bailey is also under team control for a while so they wont have to worry about shelling out money for him. The New Jersey native will strengthen a weak bullpen from last year. Here are Bailey’s career stats. 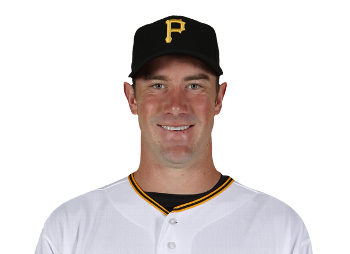 The former Rookie of the Year will close and Mark Melancon will set-up. Ryan Sweeney also comes to town in the trade. He frankly is a weak hitting outfielder who will probably spend a lot of time in Pawtucket as Ryan Kalish is a more talented player than him. 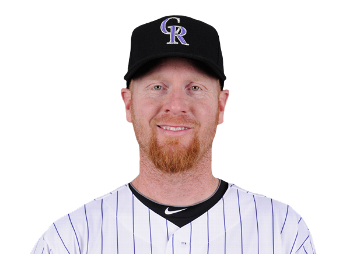 The Sox signed former Rockies SP Aaron Cook to a minor league deal. He could be figure to a end of rotation starter. He could also be a reliever if Bard is the No.4 starter and they pick up another starter. GM Ben Cherington traded away Jed Lowrie earlier in the day and he has already replaced him on the roster. 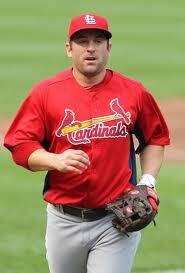 Veteran Nick Punto has been brought in on a 2 year deal for 3 million. He is a talented defender and is okay at the plate. He is a good contact hitter but does not have much if any power at the plate. Punto should be a great backup in boston as he can play 2B, SS and 3B. He will provide days off for the regular starters on occasion. Here are his career stats for those of you who would like to see. Jed Lowrie never really lived up to his full potential during his Sox career. This is his career stats. We wish Kyle and Jed best of luck in Houston and we thank them for their time in Boston. Madson on Sox Radar, Scutaro to Rockies? Madson is a proven reliable player and should get the money he deserves from Boston. I couldn’t see a better fit for him right now. Signing Madson would give the Sox a closer who at times can be dominant. However, to get him they will have to pay up. I think a 4 yr, 40 million dollar deal would work for both sides. 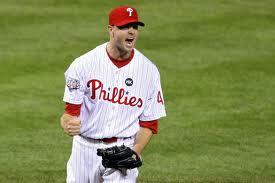 The Sox already lost out on Papelbon and Bell so they need to do something in order to have a good bullpen. 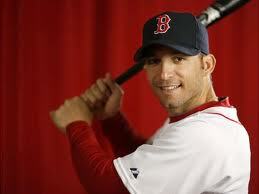 Also coming out are rumors that Marco Scutaro could be shipped out to Denver. The Rockies are interested in Marco to play 2B and they could provide prospects for the Sox in return. Trading Scutaro could mean many things. They might pursue Hanley Ramirez or start Jed Lowrie and wait for SS prospect Jose Iglesias to come along. The Sox have options but where in what direction will they go…..